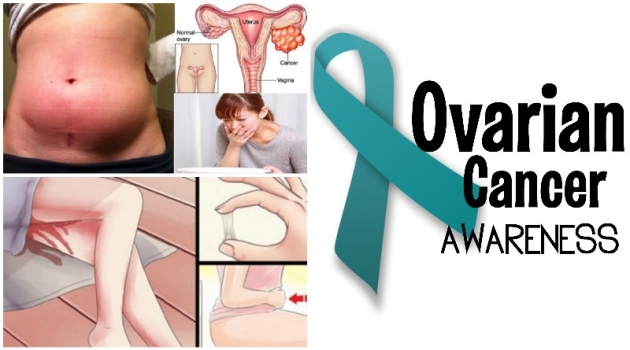 Home Abdominal pain beware body cancer fatigue health health news ovarian cancer remedy signs useful woman ATTENTION WOMEN: 10 EARLY SIGNS OF OVARIAN CANCER, THE SILENT KILLER! In order to minimize the damage to your health, you need to diagnose the problem on time. However, 80% of women are diagnosed with the disease in an advanced stage, which is why ovarian cancer has been named “the silent killer”. Continue reading below to see the symptoms of the disease which should never be ignored. Although it may be a symptom of other ailments, frequent back pain is a cause for concern and should be checked by a doctor. Pain in the pelvis and abdomen is one of the most common signs of ovarian cancer. Don’t ignore it and visit a doctor if the pain goes on for days. According to a recent study, women over 55 are more likely to develop ovarian cancer, but this doesn’t mean that younger women get a free pass. If you notice any kind of change in the frequency of your cycle, visit a doctor as it is one of the earliest symptoms of the deadly ovarian cancer. Fatigue is one of the most overlooked symptoms of many diseases including ovarian cancer. If you’re tired all the time even after a good night’s rest, you should visit a doctor in order to determine the cause. Although gasses can be a sign of some digestive problem, they are often a symptom of ovarian cancer as well. Vomiting may be caused by numerous problems, but if it occurs along with nausea and weight loss, it may be a symptom of ovarian cancer. If your belly is bloated for no apparent reason, visit a doctor immediately. Excess hair growth or loss can sometimes be caused by ovarian cancer, so make sure to visit a doctor if you experience it. Ovarian cancer strongly influences your digestive system in the early stages, causing digestive problems such as constipation, gasses, loss of appetite and stomachache. If you experience any of these symptoms, visit a doctor who will run some tests and inform you of the cause. Of course, many of these symptoms are related to other diseases as well, so they don’t automatically mean ovarian cancer. Just visit a doctor and let him locate the problem, no matter what it is.